So, my fave place on Earth, the Hob Lob, (read more about my love affair here, here, here, aaaand here) officially has their Christmas decorations out. Knowing this, it’s hard for me to stay away, and I LITERALLY hear a chorus of angels every time I walk into the store. I would put up my Christmas tree tomorrow if it was socially acceptable (who cares – I just don’t want to drive Mike too far over the edge, that’s the real reason). I LOVE CHRISTMAS. The second we can afford it, I will make sure that we purchase a house that is conducive to holiday decorations. Our current home/furniture/rooms/budget do not really allow for the winter wonderland I want to create come October (I’m known for spending Halloween night putting up the tree and NOT passing out candy…sorry kiddos), so I have to reduce myself to drooling over that “future home” I hope to have. Decked out mantle? ULTIMATE DREAM. We don’t even have a fireplace. This stairwell? Next to impossible to recreate in a one-story house. These DOORS? I don’t even know what to say. I will take four houses with four grand entrances, please. 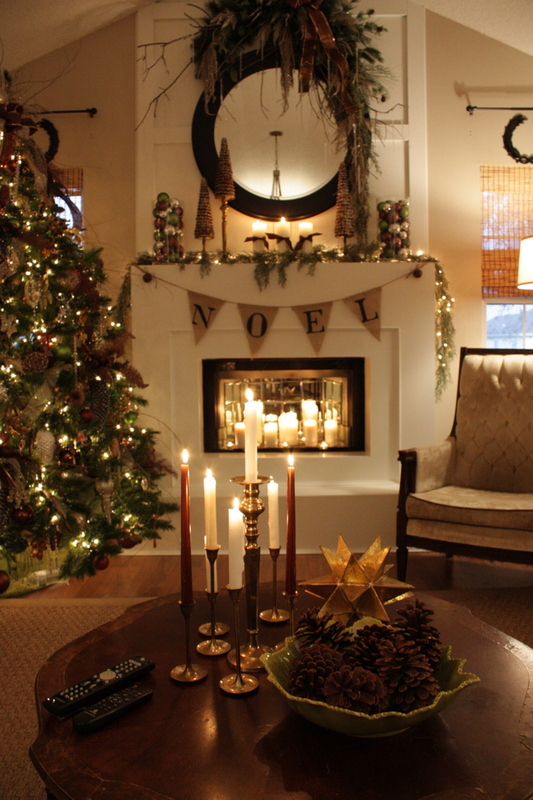 So this is how I spend the majority of my fall – dreaming about how I can decorate for Christmas. You are so creative. I can't wait to see what you can do also, but don't despise small beginnings. Some day you will remember with fondness yours and Michael's first house and you have done a beautiful job of decorating it. I am proud to have you as a daughter. You make a wonderful wife for Michael. I love Christmas and Christmas decorations but I also love Halloween and Thanksgiving/fall decor so I wait until the day after Thanksgiving to put anything up. But I also leave it up until after my bday in mid-January! I've been pinning Christmas stuff left and right, I can't wait.